His interest in Asian landscaping design—and water features in particular—has been shaped by numerous trips to Japan and extensive study of Asian landscape architecture and design. He has tailored Asian aesthetics to the realities of the Bay Area, using his knowledge of native plants, stone and wood to develop his own approach to garden design. Because he believes strongly in continuity from design to completion, Paul doesn’t use subcontractors, preferring to stay hands on with every project, meeting with clients, designing the solution, hand-picking materials and leading small crews in the building stage. He especially likes to work with wood, rock and water, designing spectacular water features as the centerpiece of gardens that serve as retreats from modern life. In addition to a landscape contractors license, Paul maintains a general builders license. 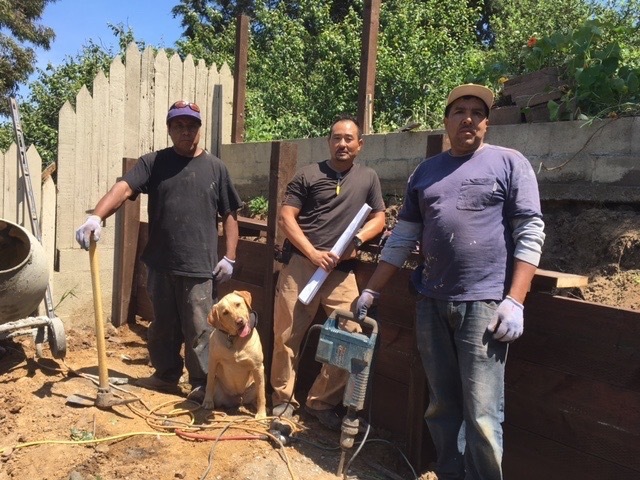 This has enabled him to execute many projects building complex decks, retaining walls, concrete and steel re-inforcement work while working with San Francisco building inspectors, architects and engineers. As more than a 100 satisfied clients will testify, Paul knows his craft from the ground up.